Have you ever asked yourself why a competitor’s business gets more attention than yours? The answer just may have to do with the elements that go into how memorable the business is. And that has to do with branding. Specifically visual branding keys. But exactly what is branding, anyway? Think of branding as predefining what a company is all about in the minds of its clients. Good branding differentiates your products and services in a positive way that really sticks in the minds of potential customers. 2. A great tag line. Assuming your own product is fabulous, it all comes down to image. Graphic design can play a huge part in that image. But what are some key things to consider? A great logo is the first of 2 visual branding keys. You have given a great deal of attention to your company name and believe it speaks to who you are and what you do. Great! Now you need to wrap a graphic image around that name to carve out a prime piece of real estate in your target customer’s mind. That is exactly what a great logo can do. Hallmark’s memorable crown logo is one of the reasons that Hallmark comes to mind so quickly when you need to buy a greeting card. It is simple, bold, looks good in either color or black and white, and bespeaks the quality required for something to be stamped with a hallmark, so it works well with the company name. While the image might not have communicated the nature of the business when it was first created, it certainly does now! Two more 1st Place EVVYs! Friday, March 28, 2008 was the 14th Colorado Independent Publishers Association (CIPA) “EVVY” book awards banquet. I accepted two 1st Place EVVY awards on behalf of one of my clients, Barbara Flood of Phoenix Press. 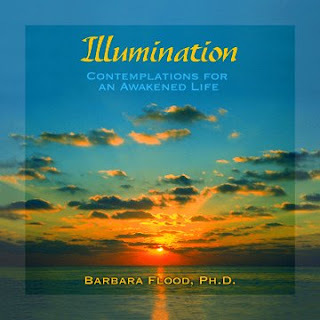 Barbara, her editor Barbara Munson, and I worked together as a team to create Illumination: Contemplations for an Awakened Life. 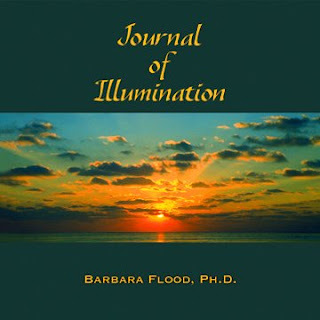 This book won 1st place in the Spirituality/Religion category and 1st place in the Inspirational/Self-help category.